Admitted Students - You’re invited! 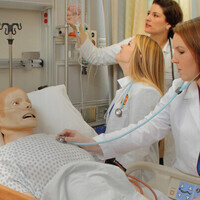 Visit Hope for an in-depth look at our Nursing program. Hear from current students and alumni, meet with our Nursing faculty, and tour our exceptional skills lab. Come see why we’re placing 100% of our graduates into nursing positions within their first year after graduating from Hope.